cat water fountain glazed in Ebony - 100% food safe. 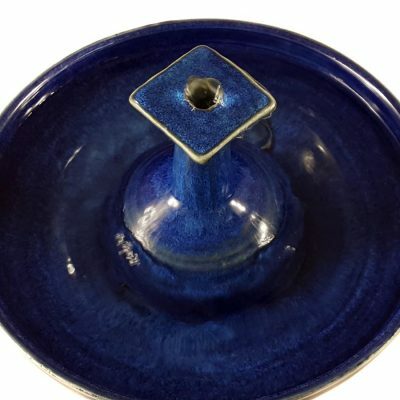 A beautiful, ceramic cat fountain or pet drinking fountain of high-fired stoneware ceramics and in-house made glazes. A pleasing cat water fountain glazed in April Blue. 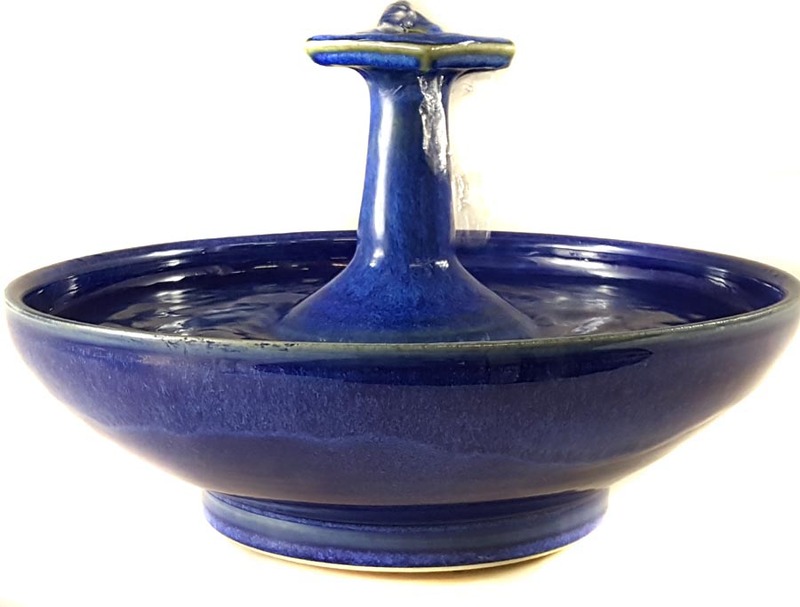 Water bubbles up over the top and trickles from the rim with gentle or no sounds and no splash. Adjust the volume as you prefer. Your cats can drink from the top, the trickles or the bowl. 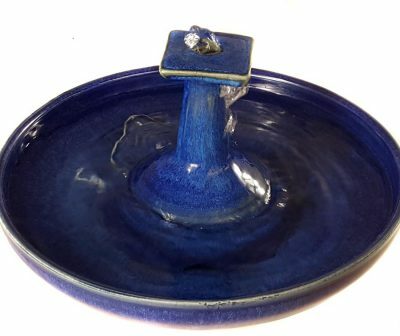 This fountain does not take any of the Cat Taps, the Serenity Flow or the copper Waterleaf. * 3.75 inches high and 10.75 inches in diameter.